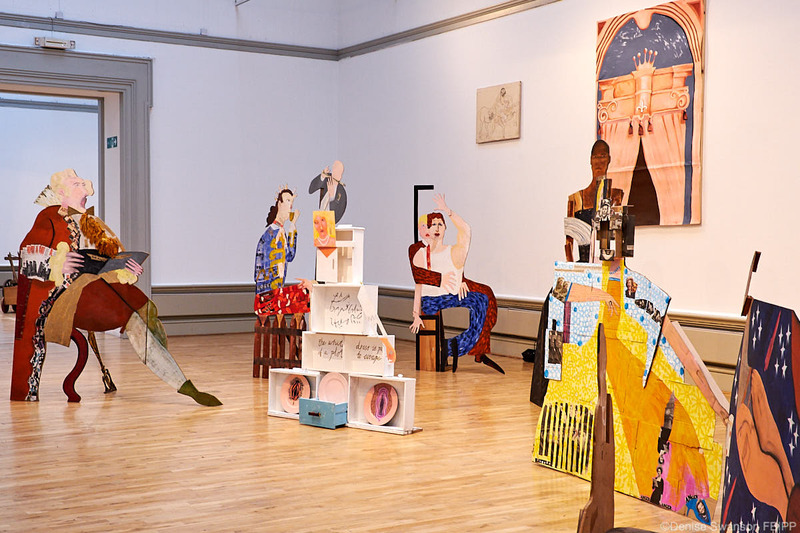 A large scale exhibition of the work of Preston-based 2017 Turner Prize winner Lubaina Himid MBE opened at the Harris Museum & Art Gallery in Preston in March and runs until 7th June 2018. It features major works not previously been seen at the Harris although the artist has had previous exhibitions there. It also includes a programme of events running alongside. 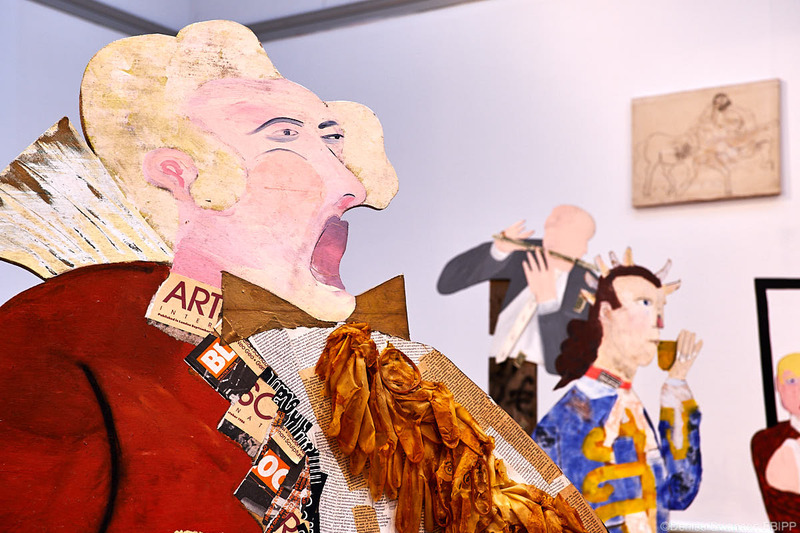 The Hard Times exhibition include the large scale installation entitled A Fashionable Marriage, which is a multi-media reworking of Hogarth’s painting. This installation was the heart of the Turner Prize show at Feren’s Gallery in Hull and was previously shown at Tate Liverpool. Also included is Bone To The China: Success to the Africa Trade from the British Council collection, along with work from Inside the Invisible, seen for the first time in the UK. Also on show is work from Feast Wagons, previously only seen at the Tetley Gallery in Leeds and at Oxheys Mill Studios in Preston. Three works from the Harris’ collection, including Hannibal’s Sister will also be on show as well as selected artworks from other female artists curated by Lubaina for display on the walls of the Staircase. 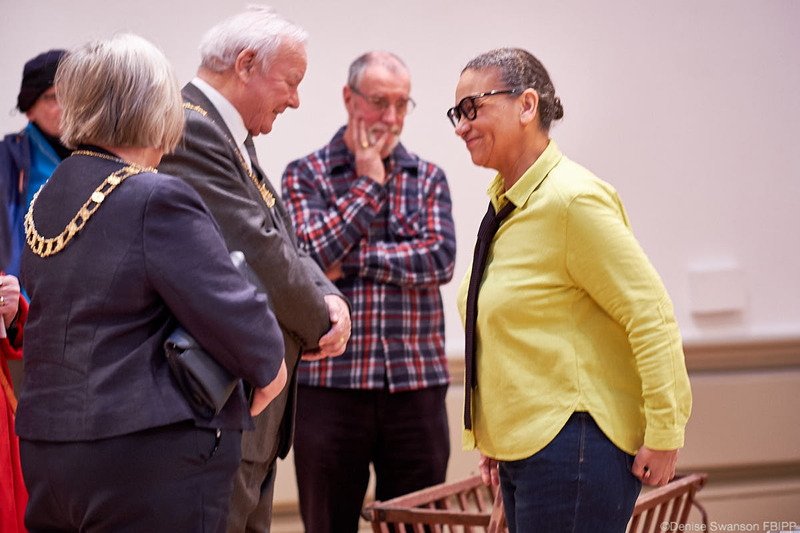 The opening night saw a large crowd attend, despite the stormy weather, many of whom came to listen to Lubaina give a fascinating talk about the various works in the show and provide a guided tour. The show was officially opened by the Mayor of Preston. Update: The exhibition sadly had to temporarily close due to the need for urgent roof repairs to the Harris after the Beast from the East struck on the opening night. The roof has now been repaired and the exhibition re-installed and has re-opened exactly as before. ← A box that needed ticking?